Simon Loong, founder and CEO of WeLab, one of Hong Kong’s 7 unicorns, has been awarded the World Outstanding Chinese Youth Entrepreneur Award by the World Chinese Business Investment Foundation. The award recognizes individuals in Asia for their contributions to society and their dedication to advancing social causes. 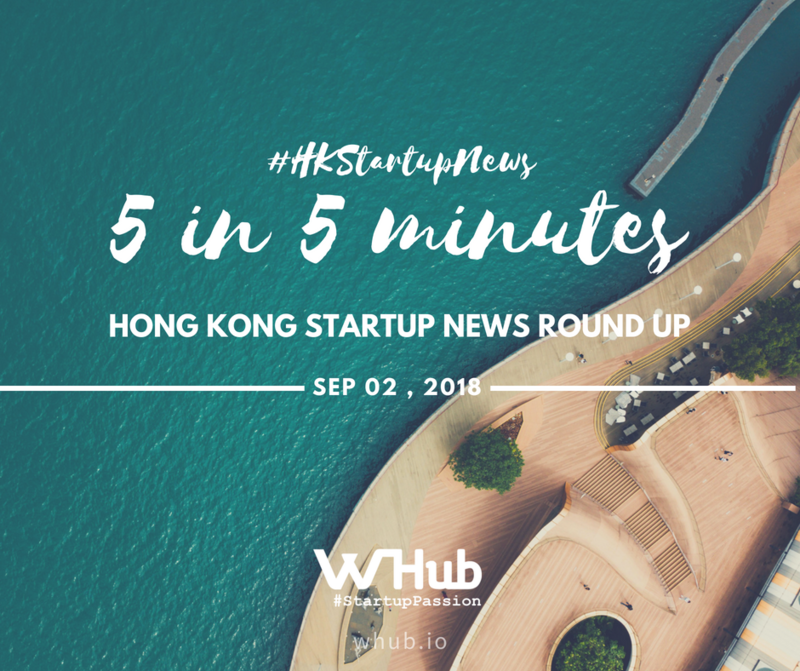 Founded in 2013 in Hong Kong, WeLab operates Wolaidai, one of China’s largest mobile lending platforms, and WeLend, Hong Kong’s leading online lending platform. With its proprietary risk management technology, WeLab effectively analyzes unstructured mobile big data within seconds to make credit decisions for individual borrowers. The Innovation and Technology Commission announced that Radiant Tech Ventures Fund LP, a venture capital (VC) fund managed by RTV GP I Limited, has been selected as a Co-investment Partner (CP) of the Innovation and Technology Venture Fund (ITVF). Including the five CPs announced earlier, there will be a total of six VC funds participating in the ITVF. NBA star Jeremy Lin, one of the prominent investors in startup NEX Team with offices in Sillicon Valley and Hong Kong, is looking to help basketball players improve their shotmaking on the court with the help of artificial intelligence (AI) powered app - HomeCourt. The HomeCourt app works with an iPhone or iPad to record on video shots taken by a player on court, while providing real-time statistics from that workout session. The app is free for the first 300 shots recorded in a month. What NEX Team hopes to achieve with HomeCourt is to “democratise AI technology” and make it accessible to a broader group of people involved in sports, according to a videoconference interview with Hong Kong-born company co-founder David Lee and vice-president Alex Wu. The completion of one of the world’s longest bridges, a 55 kilometer span, connecting Hong Kong and Macau for the first time and tyingthem both to southern China. It’s tipped to carry some 29,000 cars and trucks daily. The $15 billion bridge is only one piece of President Xi Jinping’s sweeping plan to knit the region into a high-tech megalopolis to rival Silicon Valley in California. The Greater Bay Area – with 67 million residents – would boast a trillion-dollar economy and eclipse Japan as the world’s fourth-largest exporter, according to HSBC Holdings Plc. Technology company Xloong is changing the future of policing in China. With Xloong's augmented reality glasses, police officers in China will be able to cross-reference faces against the national database, and single out suspects and criminals. Xloong has developed these glasses that can superimpose virtual images on views of the real world and send alerts to wearers, thanks to embedded chips and cameras. For instance, a red alert will be projected onto the officer's real-world view upon matches with suspicious characters. "We will put 80% of our focus on national security applications for now," Shi Xiaogang, founder and CEO of Xloong, told the Nikkei Asian Review in an interview during the Forbes Under 30 Summit Asia in Hong Kong. Already, six local public security bureaus in China use the Xloong AR glasses, including those in Beijing, Tianjin and Xinjiang Uighur Autonomous Region.